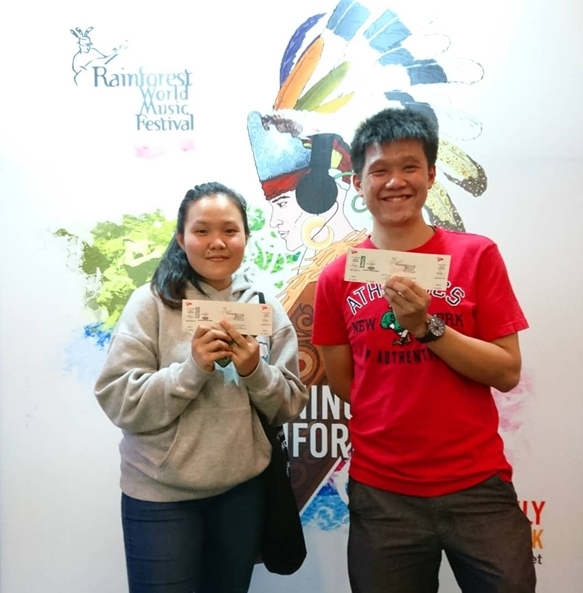 The Rainforest World Music Festival (RWMF) road show’s final location will be at Plaza Merdeka in Kuching, on July 6 to 8. It took off at the Curve in Damansara, Kuala Lumpur from June 22 to 24, before proceeding to Suria Sabah Mall in Kota Kinabalu, Sabah on June 29 to July 1. The Roadshow features live performances from the festival’s band At Adau as well as an Augmented Reality mobile phone games where participants had the chance to win free tickets to the Festival and festival’s merchandise and souvenirs.